Win Florida Lottery Scratch-Off Tickets!! Watch 10 News and win! 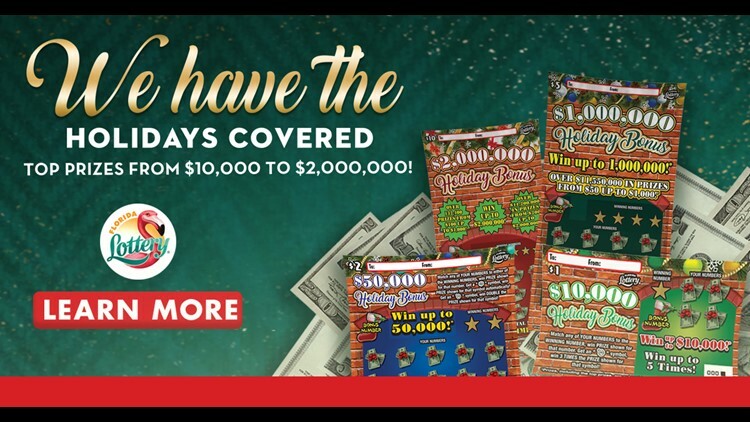 Win a Holiday bonus : $300 worth of Florida Lottery Scratch off tickets. Enter the secret word and register here.